Have you ever been tempted to give your wailing baby a shake? This new doll simulates just how deadly shaken baby syndrome is. Babies can be frustrating, can’t they? At times, they just won’t stop wailing their little lungs out for seemingly no reason. You’ve tried nursing them, rocking them, changing their diapers. Now, frazzled and sleep-deprived, you find yourself wanting to give them a shake — just a gentle one! — to quiet them down. Parents, we know you don’t intend to be rough with your precious one. But what seems like a harmless shake to us is actually forceful for your newborn, because babies have weak neck muscles that can’t support their heads well. Those hasty few seconds of shaking cause your baby’s fragile brain to slide back and forth within its skull, possibly inflicting irreversible brain trauma. This is known as shaken baby syndrome. Studies show that shaking babies vigorously can lead to severe retinal hemorrhage, coma, and even death. Terrifyingly, the damage is not always obvious. 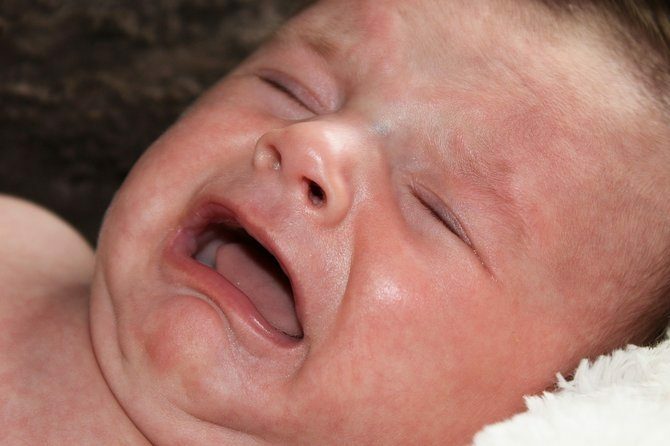 In mild cases of shaken baby syndrome, babies may seem unhurt, but develop health and learning problems down the road. Thankfully, a new doll “Shaken Baby” is here to help new parents visualize the damage they might accidentally do to their tot! When the lifelike simulation doll is shaken, red lamps light up in its skull, highlighting the brain areas which would be damaged. 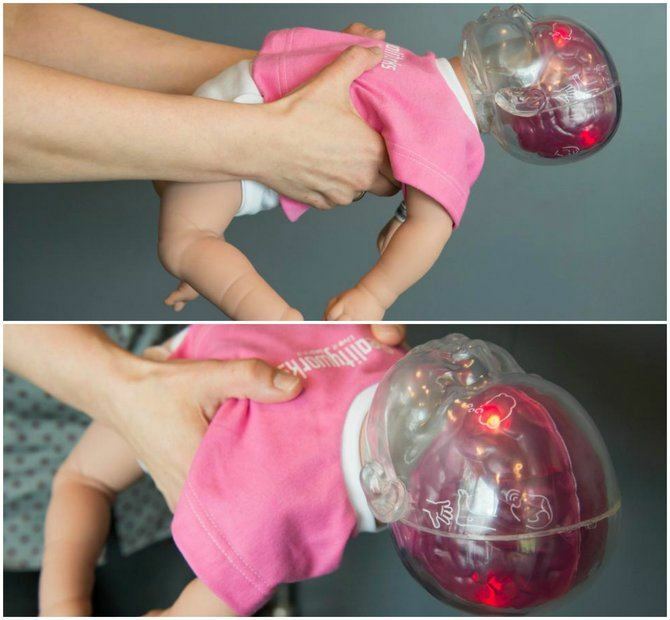 This new doll was demonstrated in Stuttgart, Germany last week to raise awareness of the dangers of shaking babies. It’s possible to see the way the doll’s head flops back dangerously, simulating the fragile neck and heavy head of a newborn. It looks frighteningly easy to make practically the whole doll’s brain glow red. Just imagine the unseen damage that such a shake would do to a real baby! Shaken baby syndrome understandably occurs due to the frustration of caring for the baby. More often than not, it’s because baby won’t stop crying, setting parents’ already frayed nerves on edge. Keep your cool — Parenthood is a stressful journey and your anxiety levels can easily spiral out of control. Be sure to know how you can calm yourself down quickly. Share the workload — Arrange to take turns looking after the baby with your partner, parents, and other caregivers! Draw on your support system to avoid burning out. Make sleep a priority — Your impulse control gets worse when you’re sleep-deprived. Schedule the overnight care with your spouse such that both of you get enough shut-eye. Support systems — Join an online parenting support group and reach out to your friends who are experienced mums. Not only will you pick up strategies on caring for a newborn, you’ll take comfort from hearing about other parents’ struggles and realising you’re not alone! 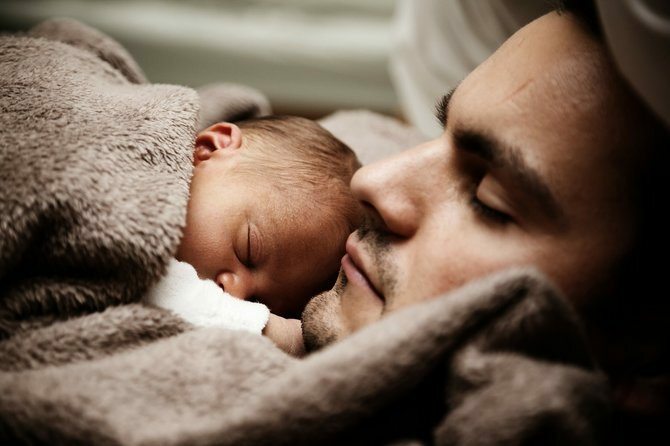 Have realistic expectations — Due to the media’s romanticized portrayals of parenthood, we may have rosy expectations of baby behaviour. Our tots can’t always be perfect, cooing bundles, and we aren’t going to ‘naturally’ know how to calm them every time they fuss! Adjusting your expectations will help reduce your frustration at the messy reality of parenthood. If you spot some of these signs in your little one, don’t hesitate to seek medical help immediately!